Hawaii Dental Clinic has enacted the following office policies to ensure timely, professional care for all of our patients. Payment is due in full at the time services are rendered. A standard finance charge will be assessed for each patient who does not remit payment at the time services are rendered. Any exception to this payment policy must be arranged in advance with the owner of the practice. Please note that none of our administrative staff are able to grant any exception to our standard payment policy without the express, written authorization of the owner of the practice. The patient is fully responsible for all taxes and fees charged for services rendered. While dental insurance coverage may pay for a large portion of the cost of services for a patient with insurance, the patient remains responsible for the full balance. Any balance remaining after a patient’s insurance company has remitted payment is the patient’s responsibility. Patients are responsible for providing current and valid proof of insurance prior to obtaining treatment. Our staff is happy to provide an estimate of the cost of dental care for both new and existing patients prior to treatment. Please call our office with your insurance information for a preliminary estimate. 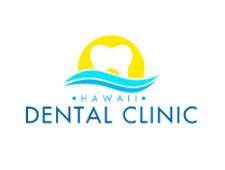 Hawaii Dental Clinic accepts cash, personal checks drawn on a local financial institution, and major credit cards. Financing options are also available for larger procedures. To avoid finance charges, please pay your balance due at the time of your appointment. Our doctors and staff strive to deliver care to every patient based on their scheduled appointment time. As last-minute cancellations and late arrivals affect our ability to provide timely care to other patients, our practice has implemented the following policies. Our practice will try to accommodate patients who are late to a scheduled appointment. However, patients who are 10 minutes late to a scheduled appointment will be seen on a space-available basis. Please make every effort to arrive to a scheduled appointment on time. Your promptness allows our office to see all other patients on time. Even a single late appointment during the day can cause other patients unnecessary delays throughout the day. Please provide at least 24 hour notice prior to cancelling or rescheduling an appointment. Any appointments which are cancelled or rescheduled with less than 24 hours notice are subject to our No-Show Fee. In the event of an illness or last-minute emergency, please contact our office as soon as possible. Patients who do not arrive for a scheduled appointment are considered to be a “no-show”. Patients who are a no-show will incur a fee charged directly to their account. Our office sets up specialized equipment and pays doctors and staff to be available for each schedule appointment. Levels of staffing and availability of equipment is determined by the type of appointment. Our practice incurs these costs for staff and equipment regardless of whether a patient actually shows-up for a scheduled appointment. As such, a no-show fee is an unfortunate, but necessary step to ensure that a high level of service is available for all patients. Our standard no-show policy is that a patient who incurs three no-shows will be blocked from scheduling any appointments. These patients will be seen by our practice on a walk-in basis only. If you are a patient who has incurred three or more no-shows, please call the office in the morning to inquire about appointment availability. Any exceptions to the no-show policy requires express, written authorization from the owner of the practice. Please note that none of our other doctors or staff are able to make any exception to the formal no-show policy.